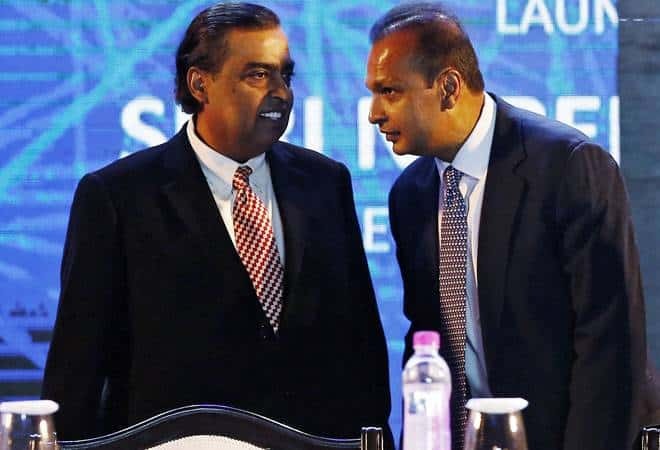 Anil Ambani was bailed out of jail trouble by brother Mukesh just a day before Anil, and two other directors of Reliance Communications were headed for a three-month jail term. The Supreme Court of India had in February ordered Anil Ambani to pay dues to the tune of Rs 453 crore within a month or would be held in prison for contempt of court. But thanks to his brother Mukesh who is the richest man in Asia currently, Anil is out of trouble. Mukesh made a payment of $ 80 million as a payment to the local arm of Ericsson for maintenance services. On Mar 18, Ericsson had received Rs 462 crore from RCom. The last-minute payment by brother Mukesh was despite a strained relationship with Anil over control of the empire built by his late father has lasted more than a decade. ‘My sincere and heartfelt thanks to my respected elder brother Mukesh and Nita for standing by me during these trying times and demonstrating the importance of staying true to our strong family values by extending this timely support. I and my family are grateful we have moved beyond the past and are deeply grateful and touched by this gesture’. Anil Ambani had in the year 2018, become a personal guarantor to the Supreme Court to clear the dues of Ericsson by Rcom. The deadline was set by the court to be Sep 30, but RCom missed it, and Ericsson filed a petition in court for contempt in October 2018 against Anil Ambani. The court again set a new deadline of Dec 15 after which RCom asked an extension which was rejected by the court. After Anil Ambani’s RCom failed to meet the deadline the second time, Ericsson again filed a contempt petition. RCom owed 571 crores to Ericsson and had deposited 118 crores in February. This is the second time the elder brother has bailed out, the younger brother Anil. Earlier in 2018 Mukesh Ambani’s Reliance Jio bought Rcom’s wireless products of 3,000 crores after the company was in debt. Anil now has the infamous distinction of losing the wealth fastest in the world despite investing in a range of business which includes telecom and power sector but all ended up under huge debts along with multiple court cases. Meanwhile, Mukesh Ambani’s business is flourishing making him the richest Asian.